Yin Yoga is a quiet, receptive practice designed to bring fluidity and flexibility to the physical body, a sense of calm, kindness and resilience to the mental and emotional body and increased awareness and health for the energetic body. This 5 day immersion and training is designed for anyone who is looking to deepen their general knowledge of Yin Yoga as well as those looking to specialise in teaching Yin Yoga as a one on one experience or in the class setting. This training blends practical, experiential exercises with anatomy, philosophy, Chinese Medicine theory and Buddhist theory to provide you with the deepest understanding of both how to practice and guide students through this transformational practice. In this course you will receive an overview of Traditional Chinese Medicine theory as it relates to Yin Yoga. You will learn the 12 major meridian channels that relate to all yin yoga postures, what chi is, what the meridian lines are and how to work with them in yin yoga practice. You will discover how meridian channels relate to organs, organ pairs, emotional, mental, physical and energetic qualities of each organ and corresponding meridian line. You will leave the course with a thorough understanding of which meridian channels are being worked in each yin posture, the roots of yin yoga, how yin yoga differs from the Indian Hatha Yoga lineage and how TCM informs Yin Yoga for optimal physical, energetic, emotional and mental health. We will explore with Yin and Yang are, how they differ yet compliment the Sun/Moon balance of Hatha yoga, how they are in relation to each other and the importance of balancing them through postures, breath, attention, mindfulness and lifestyle for optimal health. You will gain a thorough understanding into the difference between Restorative yoga and yin yoga and why/when/how you would use them for an integrated practice. We will explore Western Anatomy & Physiology related to yin yoga with particular emphasis on Fascia (connective tissue) and joint structures. We will explore how yin yoga works very differently to Hatha yoga or any other physical activity. We will explore the most recent research on fascia and how to manipulate it for optimal physical health. We will explore the links between TCM meridian channels and fascia. You will leave with a thorough understanding of how to safely sequence yin classes based around TCM organ meridian pairs, particular needs of the student/class, particular body parts, different chakras and rehabilitation from injury. You will learn the importance of rest postures and counter postures within a well balanced yin practice. We will also explore how to creatively theme yin yoga classes around Buddhist philosophy, chakras, creative writing, poetry, art, the natural world and anything else that inspires us as teachers and students. You will leave the course with a thorough understanding of what Mindfulness is, where it originated, the benefits, the method, the purpose and the results of a regular mindfulness meditation practice. You will learn the method of Apana sati and Vipassana mindfulness meditation. The course will include daily led and self practice with the intention of cultivating a regular practice for the benefit of yourself, your students and the wider community. We will explore different elements of mindfulness meditation, including walking meditation, eating mindfully and mindfulness in every day life. Mindfulness Meditation comes from the Buddhist tradition therefore these concepts are intrinsically linked. This course will cover Basic Buddhist history and philosophy, including the story of the Buddha, The Five Hindrances, The 3 Jewels, The 4 Nobel Truths. We will discuss the work of Pema Chodron and Tara Brach as well as studying ‘Mindfulness in Plain English’ by Gunaratama. There will be daily philosophy sessions where students are encouraged to take the traditional teachings and relate them in an authentic way to their own lives. We will practice ‘Dharma’ talks or mini philosophy lectures that can be unpacked during yin yoga postures. You will learn the subtle body anatomy from a Hatha yoga perspective and how this related to the TCM model of the subtle body. We will explore different ways of releasing prana or chi for optimal mental, physical, energetic and emotional health. We will explore the major nadis (energy channels) within the body and touch on the chakras. You will learn different breathing techniques relating to yin yoga including Ujjayi pranayama (extended victorious breath) and Nadi Shodhana (sun/moon) breathing. 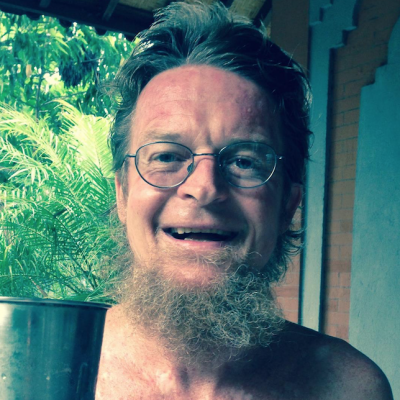 Each day will include a pranay. You will gain a thorough understanding of how yin yoga works and firstly the difference between yin yoga and restorative yoga which is a very important distinction. We will explore how to use props creatively to modify any yin yoga posture for any injury or lack of mobility that may be present. You will learn how to change each yin yoga posture so pressure is taken away from the injury sight but the student is still able to reap the physical, energetic, mental and emotional benefits of the posture. You will learn how to make all Yin postures ‘wall yin’ postures which make them accessible to all students. 8.00am – 4.30pm daily (30-minute lunch break) plus 10 hours home study via assignment to be completed after course. 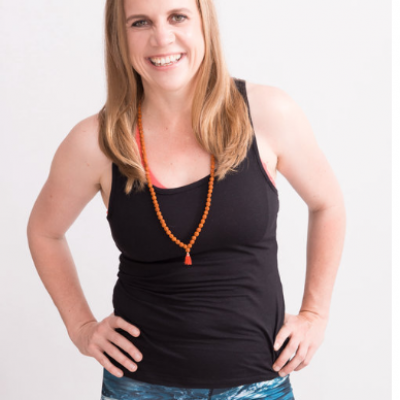 Clare, originally from the UK has been living, teaching and running Yin Yoga Trainings in Sydney for the the last three years. Trained by Sarah Powers, she has also trained extensively with Jasmine Tarkeshi and Shiva Rae. 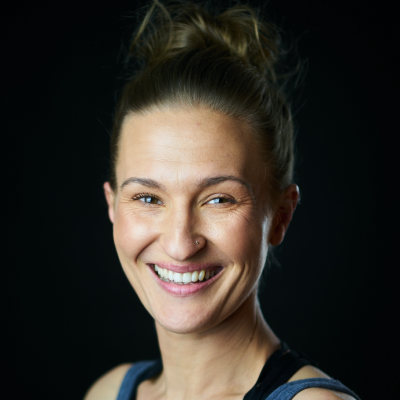 Clare is registered at the ERYT350 and RYT500 hour level with Yoga Alliance. I believe that yoga does not just take place on the mat but intertwines with every element of our lives. Through my practice I have understood that happiness is not based on external conditions and can be achieved by living simply and mindfully with generosity and compassion. This is a philosophy I want to share with the world. Yin Yoga is an incredibly powerful practice. I have seen huge shifts within myself and my students on a very deep level. One of the most powerful teachings within Yin Yoga is learning how to get comfortable with being uncomfortable. During the long held, passive postures we learn how to look within, with compassion and acceptance at all parts of ourselves, both the shadow and the light. This takes huge patience, strength and courage and by practicing regularly we become very kind, compassionate, patient and resilient. The practice of yin yoga begins in stillness on the mat. We start by going inwards. When we become adept at viewing ourselves in this kind and objective way we start to realise the interconnectedness of all humans and all life on earth as well as our interconnectedness to the planet itself. When we see struggle and suffering within ourselves we become tolerant of others because we understand the human condition. The more able and willing we are to make peace within, the more able and willing we are to spread peace outside of ourselves. Yin yoga is the silent revolution that will change the world. This 50 hour training can be used to registered with Yoga Alliance International, you will receive a certificate that will count towards continued education credits with Yoga Alliance. Clare’s teachings are framed around Purpose, Method and Result. Each teaching will be framed around this. Clare believes students learn by 1. hearing the teachings 2. practicing the teachings 3. embodying the teachings. Each day you will have equal amounts of 1. hearing the teachings (via a more traditional lecture style learning environment), 2. practicing the teachings (time for quiet, reflective meditation and yin practice for you to integrate the work and put yourselves in your students bodies/minds) 3. embodying the teachings – practical teaching time to allow the learning to integrate in a tangible way. All teachings will have benefits on a physical, mental, emotional, energetic and interpersonal level and this will be explored each time. Introductions – ‘paining the view’ of the day’s teachings. Recap of previous day’s teachings. Learning specific organ pair yin yoga sequence. In depth exploration into meridian lines and organs corresponding to particular pair. Benefits and contraindications of each posture from a physical, mental, emotional, energetic and interpersonal level. Anatomy & physiology corresponding to each posture. Practical group teaching around the yin yoga sequence we have learnt. I will observe and provide guidance throughout practical teaching sessions.